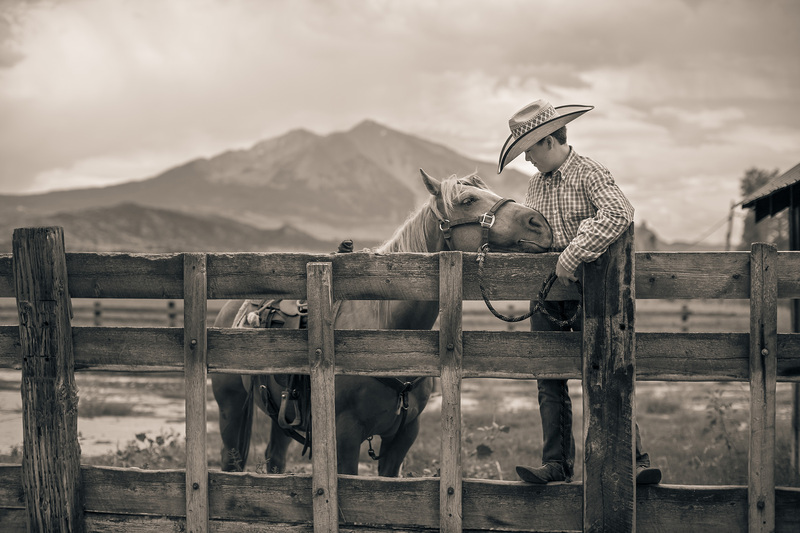 This Fine-Art Photograph is in a Series of Western Lifestyle Portraits by Tyler Stableford. 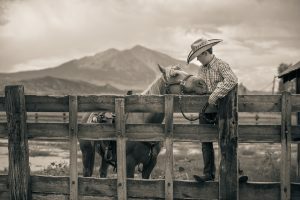 Black and White of a Cowboy and his Horse in front of Mt Sopris. A man wearing cowboy boots, had and western work clothes stands on a corral fence by his horse. Working ranches and ranch horses are a way of life for the American west.